You’re all alone and the battery is dead. Time to call a tow truck, right? Not necessarily. 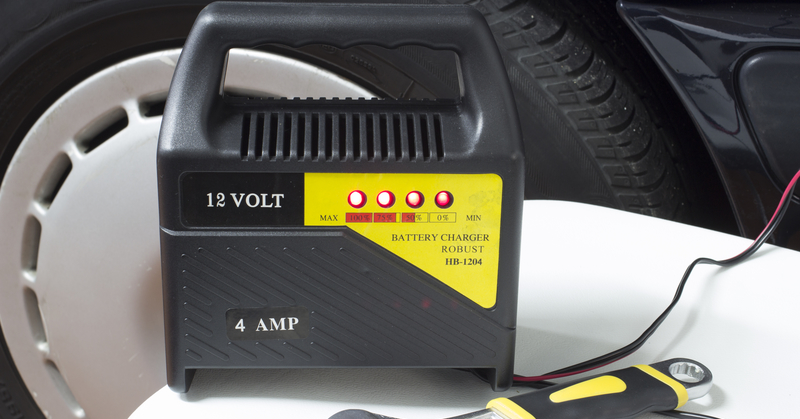 If you have a portable battery charger, you may be able to get that engine up and running again on your own. “Portable chargers are not a novelty product or a gimmick. This is a legit, high-end tool,” said Mark Elkins, vice president of Gryphon Mobile, which makes the PowerAll line of pocket-size battery chargers. Portable jump packs--lead-acid units once only found in repair shops, tow trucks and auto repair stores--have exploded in popularity in recent years. There’s also pocket-sized lithium-ion batteries that sometimes include a USB port to power additional devices. Drivers should consider functionality, portability, ease of use, durability and safety when deciding which device to trust, Elkins said. He stressed searching for a product that values safety, since jumping a battery can be dangerous. Drivers should opt for a charger that emits warning lights or tones when an error occurs or when it is connected improperly, Elkins said. “Built-in circuit breakers prevent a person from frying the unit, while a warning chime forces them to disconnect the cables to make the sound stop,” he said. -Decide which technology is best for you. Portable battery chargers are either powered by lead-acid batteries (same as what’s under your hood) or lithium-ion batteries (the ones that in your mobile devices). -Models built on lead-acid batteries are bulky and often unwieldy, but typically last longer between charges than their lithium-ion counterparts. The lead-acid versions sometimes include a 120-volt electrical outlet, which increases the device’s versatility. -Lithium-ion-powered models are the size of a smartphone. They can be stored in the glove box or sit in the center console, charging your mobile devices from a USB port (if it has one). -Portable devices are batteries themselves, so even they need charging every so often. The amount of time a device holds its charge varies from product to product. The longer a device lasts between charges, the better. -Pocket-sized devices can plug into your car’s adapter to recharge so it can be left in the car at all times. -Choose a device that provides error messages. A device that guides you through the process and won’t work when improperly installed is especially helpful to novice users.